Tradition tells us that the parents of the Blessed Virgin Mary were a couple by the name of Joachim and Ann. We don’t hear of them in the Holy Scriptures, but some non-canonical texts (apocryphal literature) speak of them. It is believed that they came from Galilee and settled in Jerusalem. The Blessed Mother of God was born there and lived there for some time till the family made its way to Nazareth. They are both considered Saints of the Christian Church and are responsible for the rearing and upbringing of Mary, the Blessed Virgin Mary. It’s believed that they only had one child. Tradition teaches us that Saint Ann has been honored and venerated in the Church since very early Christian times. Her rise to veneration originated with the Eastern Churches and Fathers. 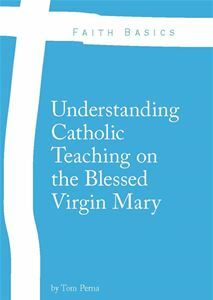 They wrote highly of her holiness and motherhood to the Blessed Virgin Mary. Saint Augustine of Hippo believed that she descended from the tribe of Levi. Saint Ann is often depicted with the Blessed Virgin on her lap teaching her to read the Holy Scriptures. Saint Ann is the patron saint of Christian mothers, housewives, pregnant women, especially those in labor, fertility, childless couples, cabinetmakers and miners. For those seeking to ask for intercession, you can pray the Saint Ann Novena. 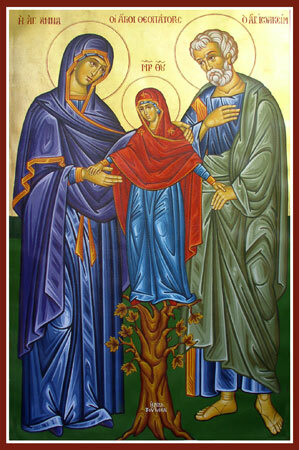 Her husband, and father to the Blessed Virgin Mary, Saint Joachim, is believed to have descended from the house of David – the tribe of Judah. 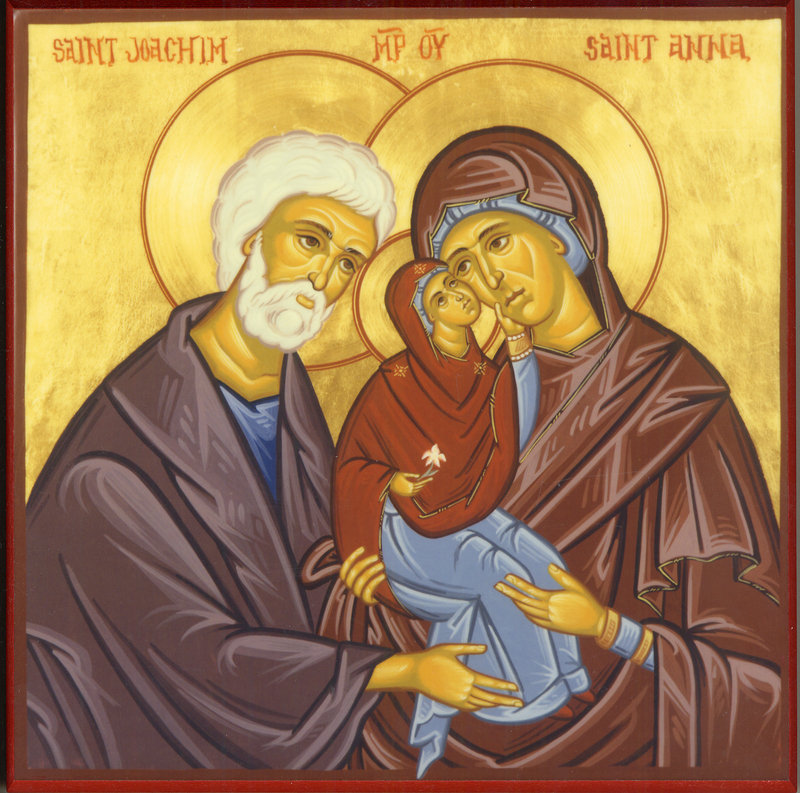 We don’t know much about Saint Joachim only that he and Saint Ann were older when the Blessed Virgin Mary was born. Some traditions say that he saw a vision of Ann with a child one day as he was walking home. This was a sign that they were to conceive and bear a child. It is also believed that for a long time they were a childless couple. 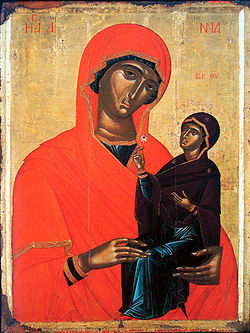 Like Saint Anne, Saint Joachim’s veneration began within the Eastern Churches. Universal devotion to him began in the sixth century. St. Joachim is the Patron Saint of fathers, grandfathers, grandparents, married couples, cabinetmakers and linen traders. In the fourth century, a church was built on the site of the home of Saints Joachim and Ann, probably by St. Helena, who was sent by her son Emperor Constantine to locate the Holy Relics of Jesus Christ. In the year 1889, the traditional tomb of Saints Joachim and Ann was found in Jerusalem. This Friday, July 26, is the traditional feast day of these two saints. Lord, God of our Fathers, you gave to us the great parents of the Blessed Virgin Mary who in turn carried Jesus Christ and became the Mother of God, we offer up all parents and grandparents who have raised or are raising children to these two holy saints. We ask that they made intercede for families who struggle to raise their children properly and for couples who are unable to conceive children at this time. Amen.